The best way to reach an agreement in complex negotiations is to share a strong drink. Which is why the collaboration with our old enemies at 7 Fjell brewery went smoothly, despite the beer being named after one of Iceland's most difficult international confrontations in the last century. 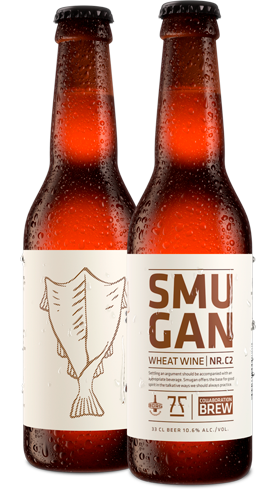 Smugan is a so-called wheat wine, a strong ale brewed with large amounts of malted wheat. Like the dispute about Smugan (Smutthullet) the flavor of the beer is complex, thanks to unusual ingredients like Norwegian juniper berries, kaffir lime leaves and stockfish.